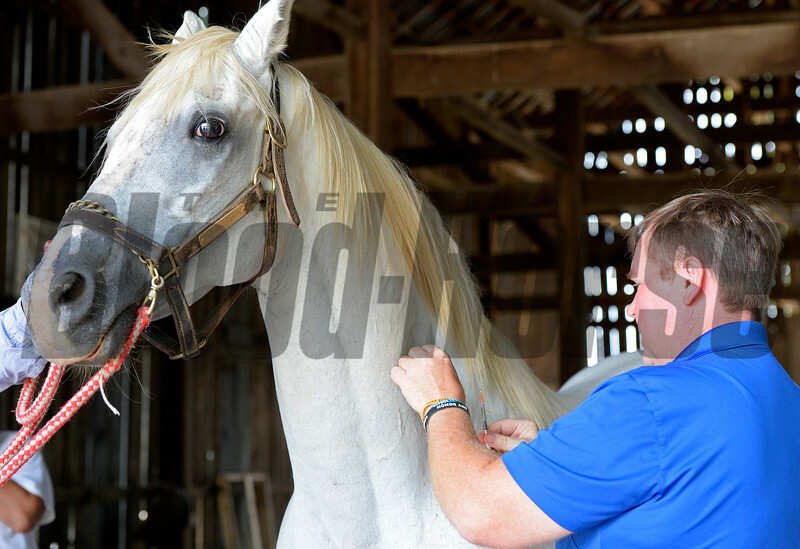 Dr. Bryan Waldridge with Park Equine and the Alphabet Soup medical issue involving cancer and tumors. Antibodies injected into the horse in effort to reduce size of tumors (located in rear area). Taken at Old Friends near Georgetown, Ky., on Aug. 24, 2016.